The pull-up, sometimes referred to as the “upper-body squat”, is one of the best tests of your relative strength (strength to bodyweight). 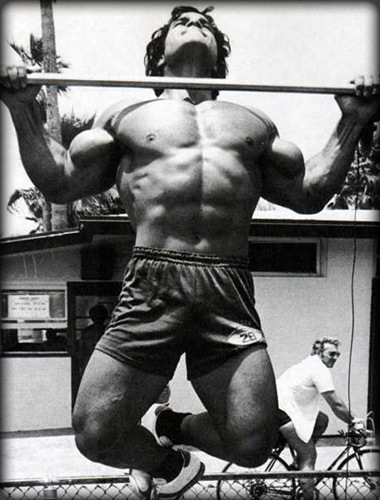 It’s one of the greatest upper-body builders there is and one that all serious lifters should train to master. But pull-ups give a lot of people problems and it can be one of the hardest exercises to improve on…until now. Use these methods to improve your pull-up performance. This is by far the most prevalent violation of training your pull-ups. With any other exercise, you usually implement some form of progressive overload and you don’t train maximally day in and day out. But yet, I often see people doing set after set of pull-ups until failure and then wonder why they are not making progress. You must treat your progression in pull-ups just as you would any other exercise and not train maximally every training session. By implementing some sort of pull-up specific training plan with progressive overload, I can almost guarantee you that your performance will improve. If you are trying to increase the number of pull-ups you can do, work in some variations that allow you to do more reps. Recline rows work well here and give you the ability to develop your pulling power and really initiate your lats. Vary your grip positions as well (narrow, neutral, overhand, underhand, wide). For those of you who can already do 10 or more pull-ups and want to further increase your ability, strap some weight to a weight belt and do weighted pull-ups. Then, when you go back to pure bodyweight pull-ups, your movement will feel much lighter. There are a ton of row variations. Rows are one of the main exercises I recommend for building your back and by improving your pulling-power in other row movements, you will be improving your pulling-power on your pull-ups too. Single arm dumbbell rows, barbell rows, recline rows, and lat pull-downs are all great for improving pulling power. This one is important. If you are trying to increase the number of pull-ups you can do, you probably need to add in some more endurance work. Lifting heavy the majority of the time will work wonders for your strength, but say you are stuck on a 5 pull-up max, training heavy with low rep sets on all of your assistance work may not benefit you. If you want to increase your reps on pull-ups, try increasing your reps on rows and other similar movements as well, so you are conditioned for more endurance that high-rep sets of pull-ups require. 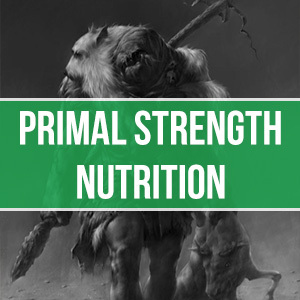 For most of you training Primal style, that means throwing in high rep sets of 12 or more on your pull-up specific movements, rather than typical strength rep ranges of 3-8. This comes down to a simple tweaking of technique, but I’ve found that this one adjustment can add up to 3 solid pull-ups on your current max. You must initiate your pull-ups by firing up your lats and not by pulling with your biceps. Cue yourself to drive your elbows down and back when you start the movement; this will engage your lats and take the emphasis off your biceps, giving you much more pulling power. 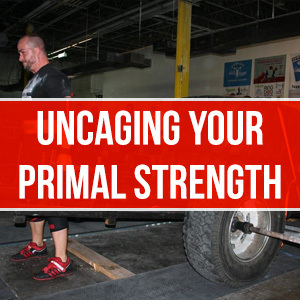 The more grip strength you have, the easier any lift will feel. Pull-ups are no different. 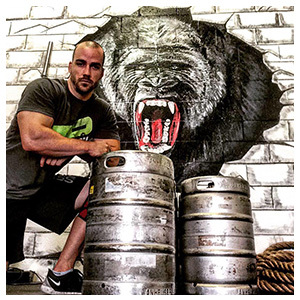 Train your grip strength with farmer carries, barbell pulling movements, and the use of fat bars. If you don’t have access to fat bars, invest in a pair of Fat Gripz. They are always in my gym bag, and I use them every single day. You can pick up a pair through Primal, on the right hand side of this screen. Extra weight might help you put up bigger numbers in leverage based exercises like squats and deadlifts or some sport specific activities, but in most other cases it’s worthless and unhealthy. Trimming excess weight will help you move more efficiently and improve your mobility, not to mention make pull-ups a hell of a lot easier.